At the recent Pursuit Manila gathering, the Moms and soon-to-be-Moms were treated like queens by the team of young women behind Pursuit Manila. I will be writing more about this Mother’s day treat in the coming week. Not only were the Moms given adorable gifts to take home, they also provided books for our kids too! All the books were courtesy of Stef Juan, one of OMF Literature’s editor. As soon as I got home, Jianne eagerly opened the package with their name on it. She was so excited to read this particular book, “Shy Shelly” which, according to Stef was printed that afternoon in time for the Mom gathering. The e-book format of Shy Shelly will be released in June and we were blessed to have the advanced reading copy. Jianne finished Shy Shelly in two days. She said she enjoyed the book and asked why is there a #1 on the book cover. I said probably that means there will be a book 2? It might be a series or something, I’m not sure. But she said that she would love to read the next one too. The story is about Shelly.She is super shy and everyone in the school never talked to her. Vanna, is Shelly’s classmate. She was always being laughed at and being teased at in school. She became Shelly’s best friend. Sophie and Patty, they are the first kids to talk and welcome Shelly in the first day of school. Jake, was always bad to Vanna. He was a bully. Shelly was the new girl in the school. Everyday she walks alone going to school. Also when she goes home. The only companion was Huey Louie he was her pet turtle. Then, she met a girl named Vanna. She was shy too. After some days, she also met a few friends Patty and Sophie. She was confused who to go with Patty and Sophie or Vanna. Everybody laughed at Vanna because Vanna vomited at the Christmas party. The video was posted by Jake and everybody in school watched the video. That’s why Vanna is shy. She didnt want to tell Vanna that she watched the video because Shelly promised Vanna that she will not laugh at her. Shelly didn’t want to ask Patty and Sophie if Vanna can play with them. She had a hard time pretending not she is not friends with Vanna. I really liked this book also because i was also shy and couldn’t speak when I joined our Awana club. But I met Reese, Sam, Reese 2, Kael, Caleb and Kate and we became friends. I think the meaning of this book is that even if you are shy you can always make friends and have love always. I recommend other kids to read this because it is about trusting and friendships. 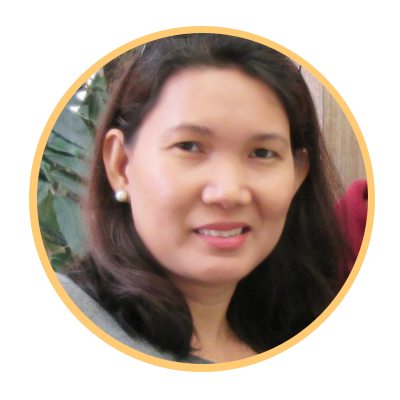 *Jianne says she is shy but despite being quiet and timid, she was able to join the Awana Music team and was front and center in leading the kids in singing for the Lord. What a joy to see indeed! This was a fun read for me. Though the characters were fourth graders, my daughter who is only 8 years old, was able to relate to the main character. Kids their age face different challenges in school like overcoming shyness, meeting new friends, choosing good friends, and bullying. As a parent reading the book, I saw what the kids go through in school through their eyes. The author, Justine Hail, who like Shelly and the other characters in the story, faced sad days too when she was in school but she bravely faced all those and succeeded. The 53-page book has thirteen chapters which included appropriate illustrations that were so cool to look at. There were craft suggestions too like how to make paper stars because Shelly made paper stars for her friends and a recipe for Strawberry Cupcakes from Vanna’s mom, which I might try too in the future. At first glance, I didn’t think it was set in the Philippines until I read the names of the students, who had Filipino-sounding surnames. Also, the mention of the word “sari-sari store” defined as a small convenience store was added. These simple inclusions made it more homegrown, more engaging to the young Filipino reader. In spite of Shelly’s shyness and sometimes indecisiveness, she was able to influence her schoolmates. She stood up for what is right. She did the right thing by choosing to protect Vanna, the one who was called Vanna Vomit, from being teased and bullied again. In the end, Shelly no longer had to choose between two sets of friends, her equally shy seatmate Vanna or Patty and Sophie. Her small act of bravery gained Shelly the trust and new connections from the other girls who saw her deed.